Chevrolet Aveo PDF Workshop and Repair manuals, Wiring Diagrams, Spare Parts Catalogue, Fault codes free download! Color manuals on repair and operation of the car Chevrolet Aveo 2002-2012, body – sedan and hatchback. The petrol engine of 1,6 l. (16 V, 115 hp). 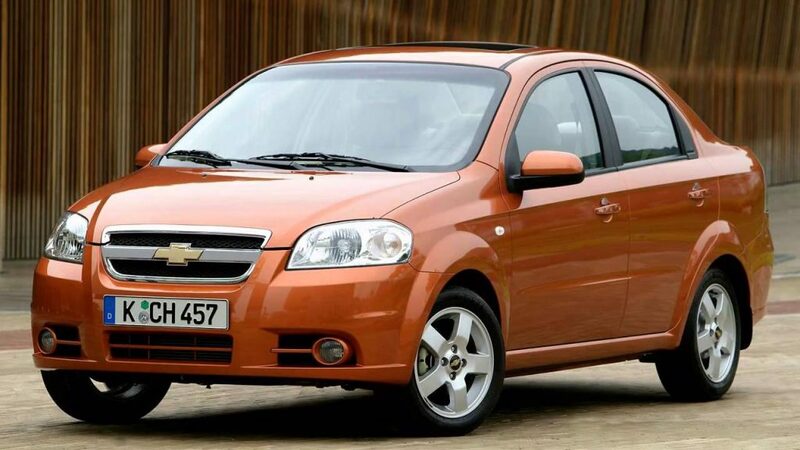 In detail the device of the car Chevrolet Aveo is considered, recommendations on operation and repair are given. A special section deals with malfunctions in the way, ways of their diagnostics and elimination. All subsections describing the maintenance and repair of units and systems contain lists of possible faults and recommendations for their elimination, as well as instructions for disassembling, assembling, adjusting and repairing the units and systems of the Chevrolet Aveo using a standard set of tools in a garage environment. Instructions for disassembling, assembling, adjusting and repairing the units and systems of the Chevrolet Aveo with the use of ready-made spare parts and units are presented in the operational and detailed illustrations with color photographs and drawings, thanks to which even a novice motorist can easily understand the repair operations. Structurally, all repair work is divided into systems and units on which they are carried out (from the engine and ending with the bodywork). As necessary, the operations are provided with warnings and useful advice based on the practice of experienced motorists. At the end of the workshop manuals are the colored electrical wiring diagrams of Chevrolet Aveo. The repair manuals are intended for car enthusiasts and specialists of the service station.